Palatine Hill and Colosseum will appeal to history buffs. Get outdoors at Colle del Gianicolo and Sabbianera Super Beach. Step out of Rome with an excursion to Villa d'Este in Tivoli--about 48 minutes away. There's lots more to do: take in the spiritual surroundings of Vatican Museums, explore the world behind art at Galleria Borghese, make a trip to St. Peter's Basilica, and take a stroll through Trastevere. 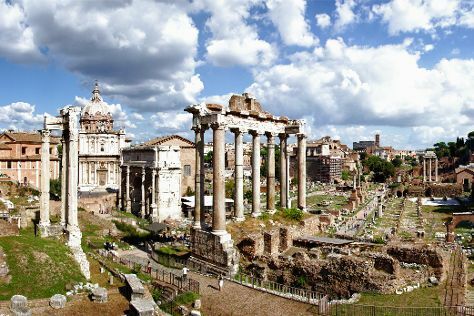 To find reviews, more things to do, ratings, and more tourist information, you can read our Rome trip itinerary maker tool . Vilnius, Lithuania to Rome is an approximately 5.5-hour flight. You can also drive; or do a combination of train and bus. Due to the time zone difference, you'll gain 1 hour traveling from Vilnius to Rome. Expect somewhat warmer temperatures when traveling from Vilnius in July; daily highs in Rome reach 37°C and lows reach 24°C. Cap off your sightseeing on the 17th (Sun) early enough to catch the train to Florence. 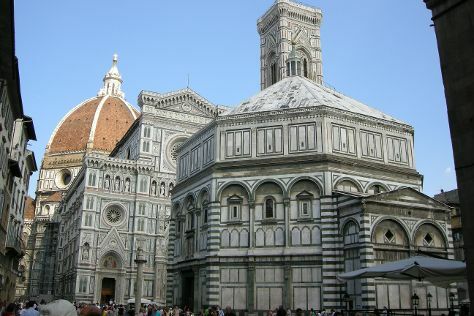 Your cultural itinerary includes sights like Academy Of Florence Art Gallery and Cathedral of Santa Maria del Fiore. Get some historical perspective at Campanile di Giotto and Piazza del Duomo. Go for a jaunt from Florence to Siena to see Siena Cathedral about 1h 20 min away. The adventure continues: explore the world behind art at Uffizi Galleries, savor the flavors at Food & Drink, see the interesting displays at Pitti Palace, and explore the historical opulence of Palazzo Vecchio. To see traveler tips, more things to do, where to stay, and other tourist information, go to the Florence driving holiday website . Take a train from Rome to Florence in 2 hours. Alternatively, you can drive; or fly. Plan for a bit cooler nights when traveling from Rome in July since evenings lows in Florence dip to 21°C. Finish your sightseeing early on the 21st (Thu) so you can take a train to Bologna. Start off your visit on the 22nd (Fri): learn about winemaking at Acetaia Villa San Donnino, soothe aching muscles at Massaggio Californiano, then take in the spiritual surroundings of Basilica - Santuario di Santo Stefano, and finally enjoy breathtaking views from Torri degli Asinelli e Garisenda. Here are some ideas for day two: contemplate the long history of Basilica di San Petronio, then pause for some serene contemplation at Santuario di Madonna di San Luca, and then work some fitness into your day at Torre Prendiparte. For where to stay, other places to visit, and tourist information, go to the Bologna road trip planning site . You can take a train from Florence to Bologna in an hour. Other options are to drive; or take a bus. In July, daily temperatures in Bologna can reach 37°C, while at night they dip to 22°C. Finish up your sightseeing early on the 23rd (Sat) so you can travel back home.